Boo Seng has been practising in the area of Intellectual Property (IP) for the past 19 years covering different aspects of IP practice. He has extensive experience in IP litigation and has represented many IP owners in the enforcement and protection of their rights. He regularly advises clients on IP issues in corporate and commercial transactions, and on licensing and commercialisation of IP rights. He also advises clients on matters relating to personal data protection. 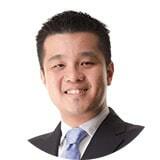 He is recognised and ranked in a number of publications including the Asia Pacific Legal 500 and Chambers Asia-Pacific. He has been described as having “established a solid reputation in the market” and “adept in matters ranging from infringement disputes to enforcement strategies” by Chambers Asia-Pacific 2015. Boo Seng commenced practice in 1998. Before joining the ZICO Law network, he was a partner at Messrs. Rahmat Lim & Partners and prior to that, he was a partner at Messrs. Shook Lin & Bok.